This airbag module eeprom programmer reset requires us to open the module. We will need to connect directly to the eeprom memory chip to reprogram the module and erase the hard codes stored. An immobilizer is not required for an airbag module reset and no additional programming will be needed. No airbag reset tools will be needed such as the CarProg and other ECU programmers. Safety Restore is the nationwide leader in post-accident restorations, provoding fast and affordable services on automotive electronics in salvage vehicles and cars that have been in an accident. We work with the airbag systems including the airbag clockspring, SRS airbag modules, seat belts, seat belt retractors, seat belt pretensioners and seat belt buckles. We have been saving customers hundreds to thousands of dollars on all repairs. Cars bought from salvage auctions such as copart.com and iaai.com usually have the airbags deployed, SRS airbag modules with crash data stored and locked seat belts that we reset and repair! 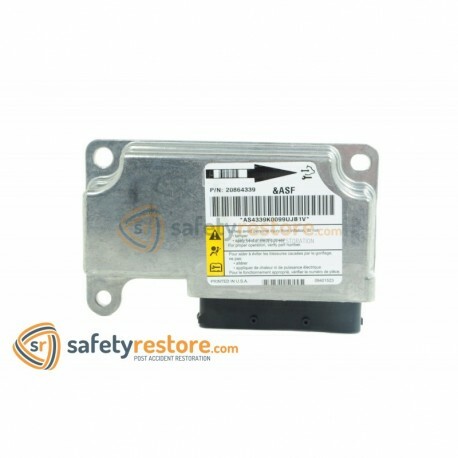 An airbag reset tool is something that is designed to reset airbag codes stored in your vehicle by connecting to the OBD port. No tool can reset crash data or hard codes through an OBD. A hard reset requires that you remove your SRS airbag module our of your car and mail it in to us for a full repgramming, reset and erasing of crash data and hard codes. Your SRSModule is the controller responsible for the airbags and seat belts that is usually triggered by crash sensors located all around the vehicle. Once triggered, your SRSModule is considered faulty and will need to be reprogrammed. An airbag SRS Reset is usually referred to the SRS airbag module and this service covers that. Your SRS unit causing your airbag light to go off can be reset. We have all the necessary tools, reprogramming software, eeprom programmers, car programmers, immobilizers, calculators, OEM software, OEM module data, SRS programming software and knowledge to reset your SRS airbag module back to factory condition.